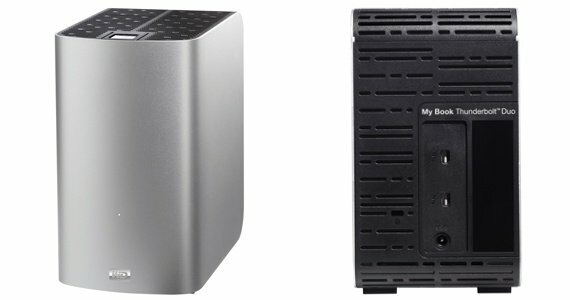 Mac users: WD's Thunderbolt-connectable 6TB hard drive, the My Book Thunderbolt Duo, can be yours for a mere €699/£580. Too much? The 4TB version is just €599/£500. For your money you get a box with two drives installed - hence the 'Duo' - which you can configure as RAID 0 or 1 for, respectively, speed or data security. Or you can set the drives as individual storage units.